This Mr.Gasket chrome plated water neck features an O-ring style seal to prevent water leaks. Precision die cast for a great fit, it is first polished to a high luster, then beautifully chrome plated. 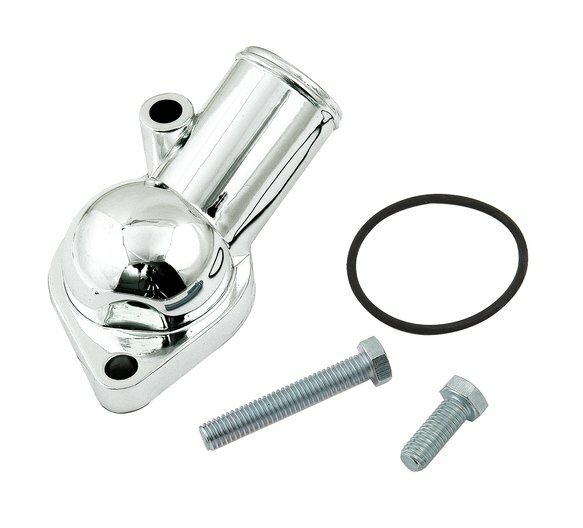 Water neck comes complete with O-ring and mounting bolts. Fits Chevrolet V8, late 1966-75.